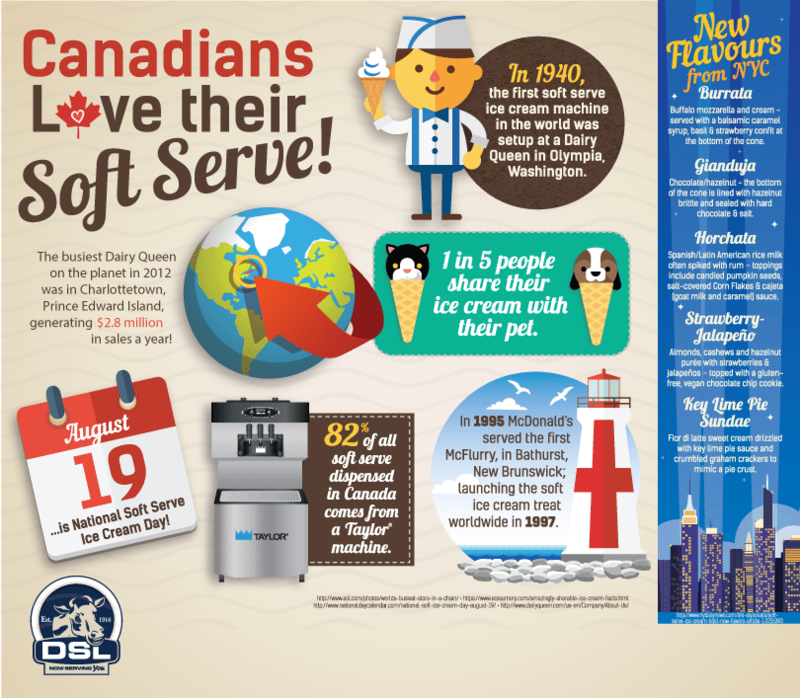 DSL | Infographic Canadians Love Their Soft Serve! Home » Blog » Canadians Love Their Soft Serve! Soft serve ice cream continues to put smiles on millions of faces every year. Did you know that the busiest Dairy Queen on the planet in 2012 was in Charlottetown Prince Edward Island? Check out this infographic for more fun facts about soft serve.